I love bright make up and unusual nail varnish, and Radioactive Unicorn are the absolute leaders in the nail varnish of my dreams. I've blogged several times about my love of their products, and this is yet another blog about how much I adore them! I placed two orders recently, one that arrived no problem, and one that went missing in the post. Radioactive Unicorn were fantastic and dispatched another order to me recorded to replace the missing order, no problems. I have to mention this because their customer service was great, and nothing was too much trouble. They were apologetic, and immediately set out to replace my order. I ordered the Ru Paul's Drag Race inspired collection (which is now sold out), along with their new top coat, and 'Stay wild moon child'. I've photographed all the bottles individually to show off all the textures and colours in each. To get the true colour to show in the photos I have slightly edited the photos, which is why the colours of the succulents I've photographed them on vary slightly. This has been done to show the truest colour I possibly can. 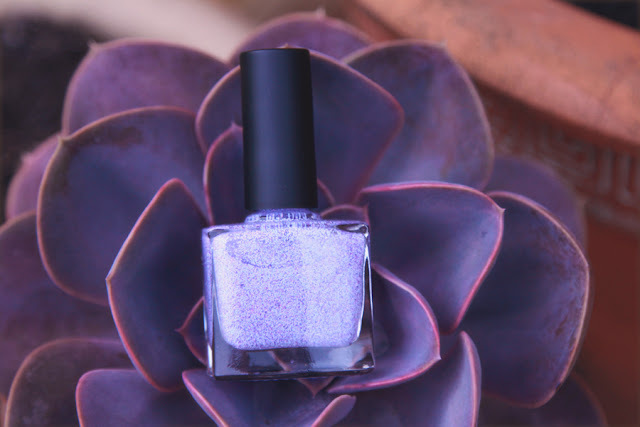 'Stay wild moon child' is a really versatile varnish. It is a multifacted white base that has the pastel rainbow hidden inside of it. It is slightly sheer even when layered, but a white base coat would prevent that. 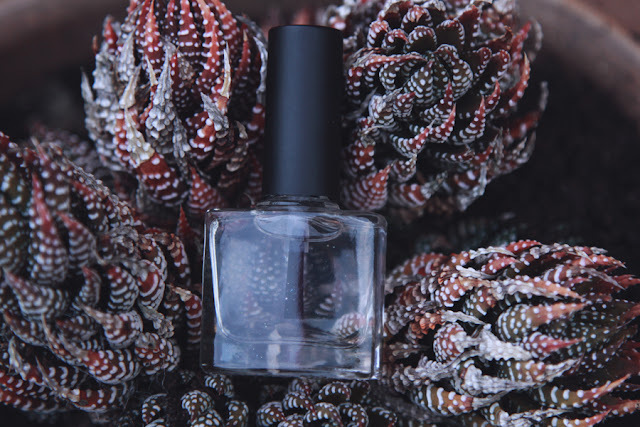 It also works beautifully as a top coat for something completely different! 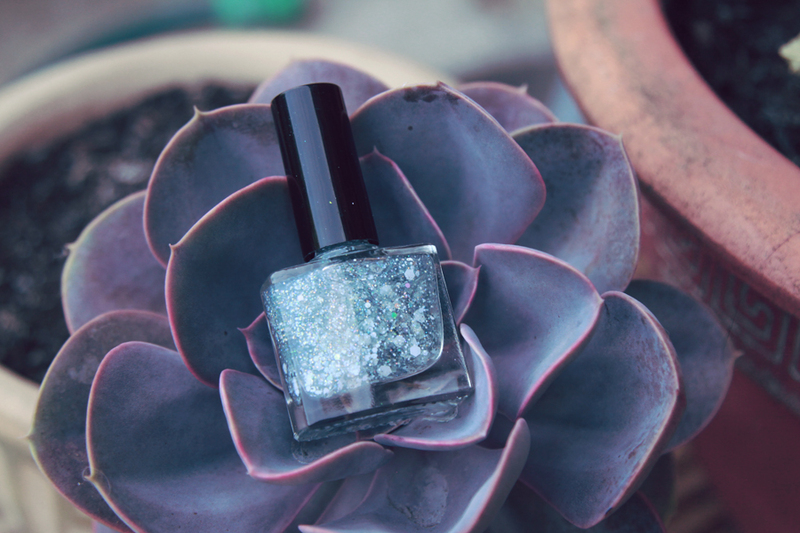 You could use this to add a shimmer to any plain nail varnish. The new clear top coat is one I was desperate to try out. To really get the most out of these nail varnishes a good glossy top coat is a must, so I was really excited that they released their own. 'Kim-Chi that walk', I'm behind on drag race so I haven't seen much of Kim-Chi save for what I've seen on instagram! 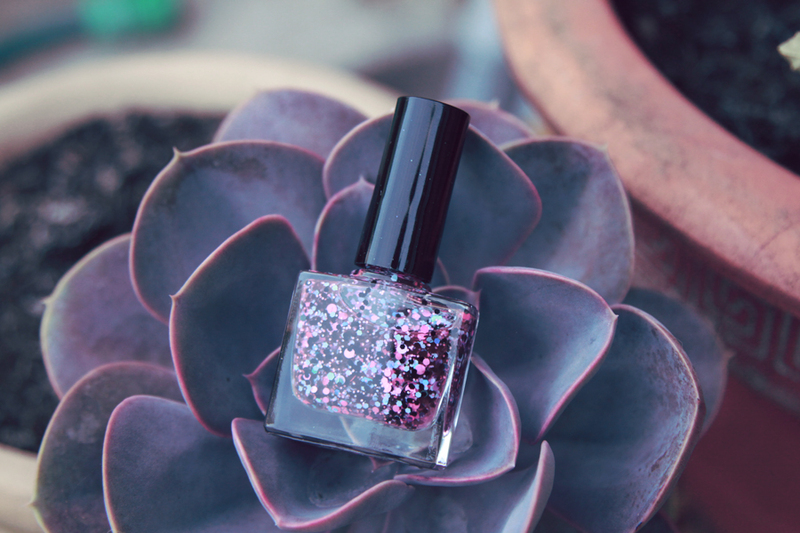 This is a very pale pastel toned glitter, with purple, pink and white tones. 'Supermodel of the world', inspired by Mama Ru herself. This is a super bright mixture of pink and yellow, it's almost coral toned. I usually find I need 3 layers to get a really solid finish with any Radioactive Unicorn varnish. 'Not today satan, not today' inspired by Bianca Del Rio. This was the hardest to capture a true representation of. 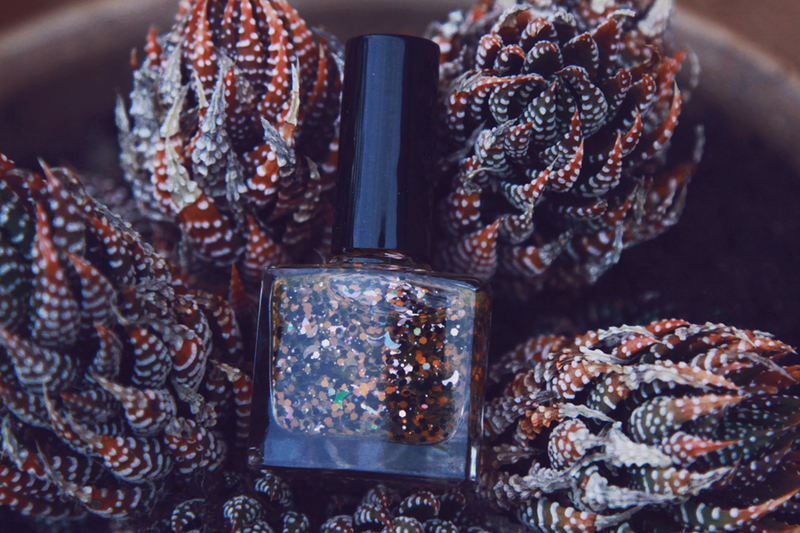 It's a clear polish with a mixture of different size glitters in black, pinks and holographic tones. It's amazing! This could be layered up thickly to make a solid colour, or used as a top coat. 'Beautiful, spooky and stupid', inspired by Sharon Needles, was always going to be a stand out for me. It's an amazing Halloweeny varnish full of silver mirrored crescent moons, and orange and black glitters in different sizes. 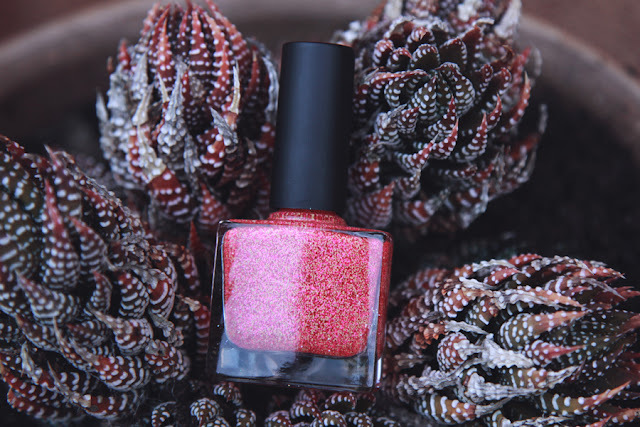 This is absolutely my nail polish for Halloween! And finally, 'Your makeup is terrible', inspired by Alaska Thunderfuck. Silver and white glitters in a clear base, this would make a stunning top coat over a solid base coat too. One thing I will recommend with these varnishes is not to use a base coat with them, I find the glitters tend to lift up and peel off in a solid section. 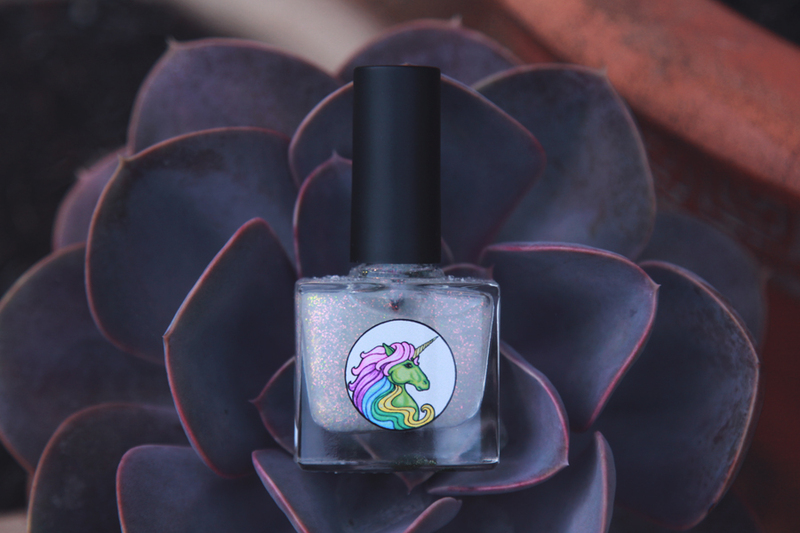 I am absolutely obsessed with my Radioactive Unicorn collection, and can't wait to see what else they release! Every time I see one I want one, but they sell out so quickly! Some lush colours here, and I LOVE Drag Race! I have heard so many good things about this brand, and love that they are cruelty free! Every time I try to get my hands on one of the sets, it's always sold out. They always look incredible, and have such an amazing range of colours! I have to admit, I set my phone alarm so I'm ready for the restocks haha! These always sell out so quick, I need to be on the ball next time. I love the look of the unicorn one!! totally, I always set an alarm! I've never heard of this brand before but I love the glittery ones! they have so much glitter!